Polymeric Drop Out Fuse (Solid Core) are manufactured using highly conductive copper alloy. These current limiting fuses are installed at high voltage and are used to provide protection when the trouble is consistent. Our Drop out expulsion type fuse cut outs suitable for installation in 50Hz, 11KV distribution system for protection of H. T. lines and transformer centers Tap lines. The Drop out fuse set has single pole construction. 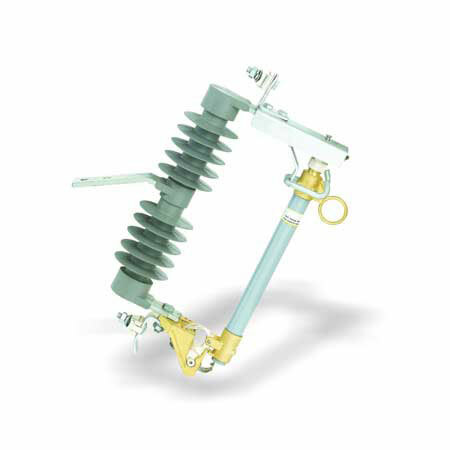 Each pole consist of Polymeric insulators, all current carrying parts made of a highly conductive copper alloy and the contact portion are silver plated for corrosion resistance and efficient current flow & the fuse tube made of fiber glass coated with ultraviolet inhibitor on the outer surface and having arc quenching bone fiber liner inside.